Behind hurting or killing yourself or a hunting partner and breaking game laws, wounding an animal instead of making a clean kill should be one of hunters' top concerns. After all, we want to be as humane as possible when we take the life of an animal. And if, God forbid, that happens, the goal is then to make a kill as quickly as possible and end the animal's suffering. That notion apparently never entered the minds of Scott Lee and Nai Saechao. According to the Tahoe Daily Tribune, the El Dorado County Sheriff's Office received multiple calls about a tan Toyota SUV driving down the road with blood dripping out the back. When the callers tried to get a look at the duo, the truck would speed off. Talk about drawing suspicion. Understandably concerned, deputies quickly tracked the vehicle down and discovered a deer carcass flooding the back with blood. 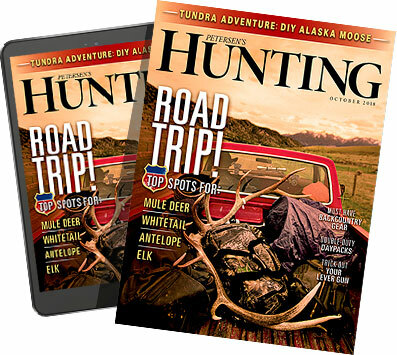 An investigation revealed that Lee, 46, and Saechao, 32, had shot the buck from the road, then loaded it into the back of their vehicle when it collapsed. In a scene straight from the Chris Farley classic Tommy Boy, the deer apparently regained consciousness as the numbskulls drove off. Since there were still more laws to break that night, one of them allegedly climbed back there to take the deer down Psycho style, stabbing the deer to death and resulting in a river of blood flowing out of the car. For being so idiotic that you not only shot a deer from the road, but stabbed it to death in your car--and for not letting the buck destroy your car like David Spade's, like you deserved--we here at Petersen's Hunting award Lee and Saechao the prestigious Holy Schnikes! Award.